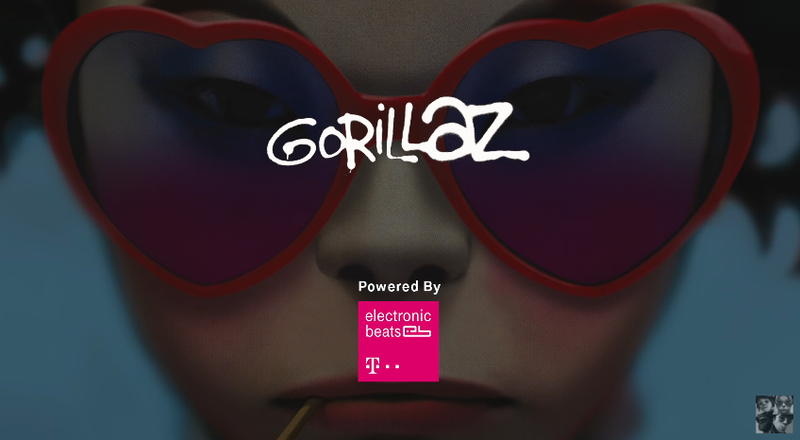 Earlier this week was the official launch of a groundbreaking mixed-reality app from Gorillaz, which comes ahead of highly anticipated new album ‘Humanz’, to be released by Parlophone Records on 28th April. Pushing the boundaries of mobile technology, the Gorillaz App will allow fans to immerse themselves in the world of Gorillaz and join Murdoc, 2D, Russel and Noodle at home for the very first time. To celebrate the release of the new album, fans will be invited - via the app - to the Humanz House Party, an exclusive worldwide listening event, which will allow fans to hear the new album in full for the first time. The Humanz House Party will be the largest ever geo specific listening experience, bringing people together across 500 locations from Tokyo to Santiago. Developed by Gorillaz and B-Reel with support from Deutsche Telekom, the fully immersive mixed-reality app is a unique blend of real world, AR, VR and 360 environments. The innovative new application showcases both Telekom’s leadership in these new types of technologies and the potential of its network to create exciting new shared experiences for users wherever they are. Working in close collaboration with Gorillaz co-creator Jamie Hewlett, B-Reel has implemented Hewlett’s iconic style into the design of the app in ways that are both completely fresh and technologically pioneering, using the technology in a narrative context for the very first time. Through the app, fans can navigate a wealth of exclusive content. Users will also be encouraged to explore the Gorillaz House through a bespoke Augmented Reality menu. A whole host of exciting interactions with 2D, Murdoc, Noodle and Russel will feature in the user driven app, which fans can capture and share with others. Following the launch, the app will be updated with fresh content. Once new parts of the story are added, users will receive notifications to ensure they don’t miss out. As well as mobile phone users, those with access to a Google Cardboard headset are able to enjoy a VR mode that allows users to get even closer to the completely re-imagined world of Gorillaz. The cross-platform app leverages a smartphone’s accelerometer and gyroscope to give users a freedom of exploration that’s entirely natural, triggered by physical interaction with their device. By allowing users to explore the world of Gorillaz in full 360, a layer of immersive storytelling is unlocked that regular 2D content cannot achieve.